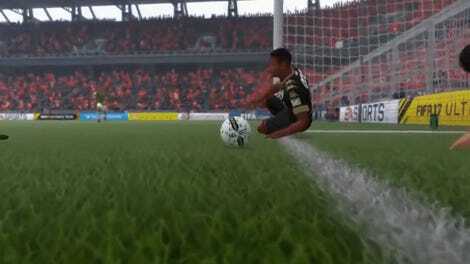 FIFA is a series of soccer games that does its best to emulate professional football in the virtual realm. A bit of tomfoolery in a live pro match really drives home that sense of realism. During today’s matches at the FUT Champions Cup Manchester, the in-game ref called a penalty on a defender that would have caused a bit of a ruckus at a real-life stadium. The ensuing moments could have barely gone worse for Gotzery, playing in the red. 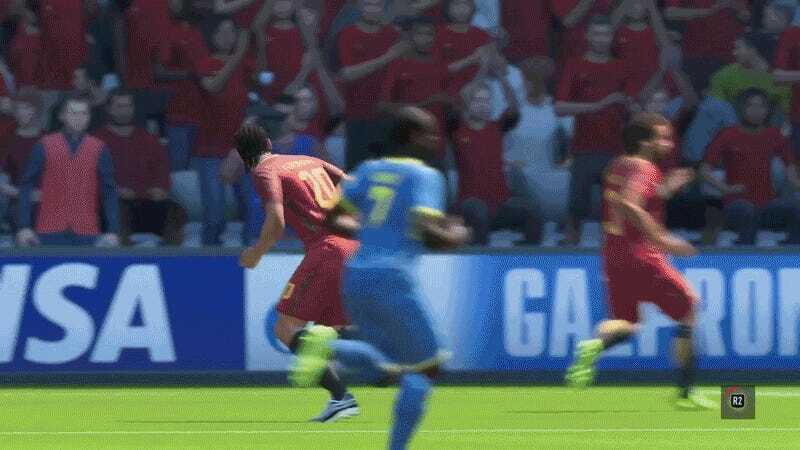 A virtual Ronaldo goes sliding into Rio Ferdinand, it gets called on the latter and a penalty shot is set up. Gotzery blocks the initial kick, but TM Nicolas99FC—now controlling Cristiano Ronaldo—snags the rebounding ball and taps it right into the net. Sports games always seek a sense of realism, trying to create the most lifelike simulation possible in a binary, 1's and 0's realm. Some games boast perfectly ascribed statistics, fluid dribbling, or tons of shot options. None of it comes close to when the in-game referee makes a controversial call that would send either team’s fervent, loyal fans into a crazed frenzy. That is the moment a sports game is most realistic to real-life: when I can blame it on the ref.